Selene, the goddess once known as Artemis, is grieving for her lost siblings and tortured by the knowledge that she has caused her lover Theo pain by letting him believe her dead. 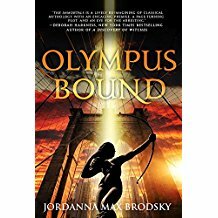 But most of all, she is determined to find her grandfather Saturn before he kills her father, Zeus, and completes a ritual that will grant him the power the gods lost long ago. Selene will leave behind her beloved New York for places from her sacred past: Ephesus, Athens, Rome, and, eventually, Mount Olympus. Meanwhile, Theo is not willing to accept Selene's death and turns to other gods to find a way to bring her back. The nonstop action balances Selene's quest with Theo's heartbreaking efforts to resurrect the woman he believes to be dead, even if it requires a trip to the underworld.